After six decades of regional prominence, Memorial Medical Center-Lufkin, the flagship hospital of a four-campus system in East Texas, weathered a multi-year trend of dwindling patient volume and cash reserves resulting in a bond rating downgrade. Determined to get back on track, hospital leaders hired CHC to design and implement a hospital turnaround program to restore the facility’s financial health and credit, as well as the system’s prospects as a whole. Recently, the system announced a strategic partnership made possible in part by the turnaround program’s impressive results. Memorial Medical Center-Lufkin is one of four rural hospitals that make up Memorial Health System of East Texas, founded in 1949. All together, the hospitals provide a quarter of a million patient services each year and historically have brought advanced healthcare and technologies to this large rural area, including its first primary stroke center. But building on its history had gotten Memorial Health only so far. Hardly in a position to even consider long-term strategic partnerships, the floundering hospital in 2010 hired CHC Consulting, the management and consulting arm of Community Hospital Corporation (CHC), to design a turnaround program. Positive results were seen right away, as the hospital’s engagement of CHC Consulting for help with an operational overhaul was deemed by Moody’s Investor Service as a strength offsetting the problems and challenges that led to the bond rating downgrade. In August 2011, Memorial Health signed a management services contract with CHC Consulting so the latter could oversee the turnaround program’s system-wide implementation. The rapid, initial results were followed over the course of two years by significant, sustainable improvements, enhancing Memorial Health’s value to potential partner organizations. 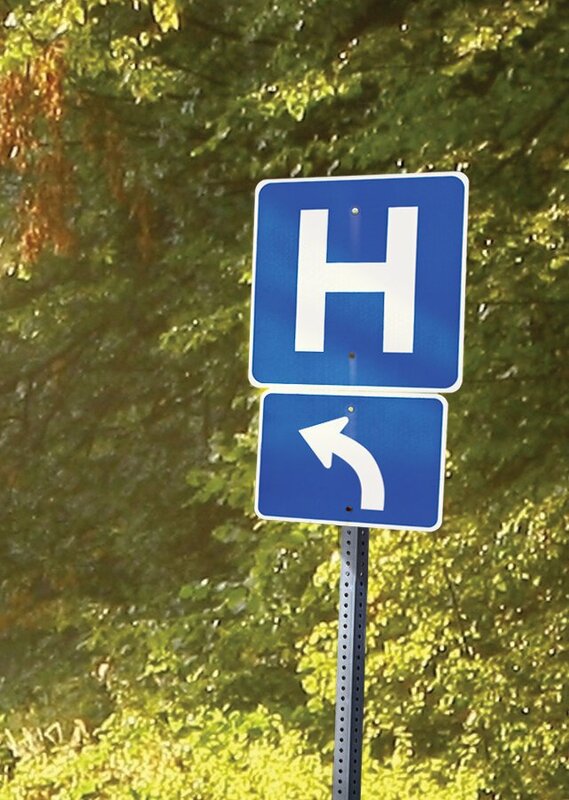 CHC Consulting’s turnaround strategists met with hospital leaders to “frame and prioritize critical actions and get the organization focused in the right direction,” says Wilson Weber, CHC’s executive vice president and chief operating officer. This marked the start of a significant financial turnaround. Within 45 days, CHC Consulting had completed an operational assessment and a 170-page report identifying potential cost savings and revenue enhancements. Together with hospital leaders, CHC Consulting then developed detailed action plans with timetables for completion as well as a “very disciplined planning and accountability process to keep us all on target,” including biweekly face-to-face meetings, says Gary Looper, Memorial Health’s president and CEO. At this early phase, the aim was to reverse financial losses and redress credit problems, but it wasn’t long before improvements and gains put the hospital board in a position to focus on long-term strategy, including partnership options. “Memorial Health’s credit rating went up, and stayed up, during CHC’s tenure,” Looper says. Additionally, CHC’s turnaround program, including short-term management services, helped Memorial Health System of East Texas as a whole achieve a quick and relatively easy gain of $10 million in the first 12 months, followed by an additional $15 million in IT and supply chain savings over the course of two years. The $25 million turnaround positioned the system to seek a long-term partner and consider several offers. In 2014, ownership of Memorial Health transferred to not-for-profit Catholic Health Initiatives, based in Englewood, Colo. The system’s preceding partnership with CHC Consulting highlights several of our core competencies including improving a hospital’s profile with the aim of forging an advantageous partnership.